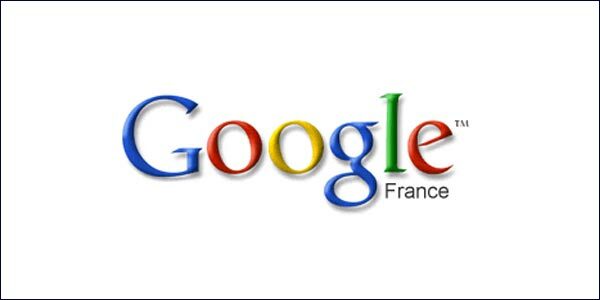 French Authorities Fine Google For Privacy Invasion. Posted on 27th March 2011 at 12:01. Google is in the news again, and unfortunately it’s not for the right reasons. The French Authorities have fined Google 100,000 Euros for illegally gathering data from private Wi-Fi networks whilst collecting imagery for Google Street View. This latest setback comes on top of the avalanche of adverse publicity following the introduction of the Panda update to its search engine algorithm. 2011 so far hasn’t been the best of years for the internet giant. Google’s Street View has been controversial from the outset. The service was an adjunct of its Google Maps application offering a ground level panoramic view of localities taken from its Street cars. There were immediate and understandable objections to the gathering of any data and image that could potentially identify individuals and their behaviour. Google responded to these objections by blurring the faces of individuals and number plates in an attempt to placate the critics. But for many civil liberty groups this action didn’t go far enough and they called for further action to be taken against the company. The situation was compounded last year when Google confirmed that some of its Street View cars had inadvertently downloaded and stored private data from unencrypted Wi-Fi networks. This admission proved to be a catalyst, and a series of privacy investigations were launched in Australia, the US, South Korea, Canada and Germany to investigate the behaviour of the company. Throughout these proceedings, Google maintained its innocence, claiming any breaches of privacy laws were unintentional. Google pledged that any further violations would cease and any gathered data would be deleted. However, that apparently was not enough to satisfy the French authorities. The French take liberty seriously, as the revolution testifies. It continued with its own investigation of Google. In August 2010 the French police, under the orders of the National Commission for Computing and Civil Liberties (CNIL), stopped a Google Street View car to see if private Wi-Fi data was still being collected. The police discovered that Google had not deleted the private data if had previously stored, contrary to the agreement made earlier in the year, and was still continuing to collect data which could identify the Wi-Fi access points of individuals without either their knowledge or agreement. CNLI successfully prosecuted Google through the French Courts, much to the delight of the Commission’s Head, Yann Padova, who told Le Parisien Newspaper “it’s a record fine since we obtained the power to impose financial sanctions in 2004.” The fine itself is but a drop in the ocean to a company with Google’s clout, but it is important none the less as it does set a precedent. Google has subsequently confirmed that it will no longer collect and store private Wi-Fi data, and will destroy all the information it currently holds. Is that the end of the matter? Who knows – watch this space. 50% Of Companies Are Clueless About Search Engine Marketing.Customising Your Social Media Branding Campaigns.